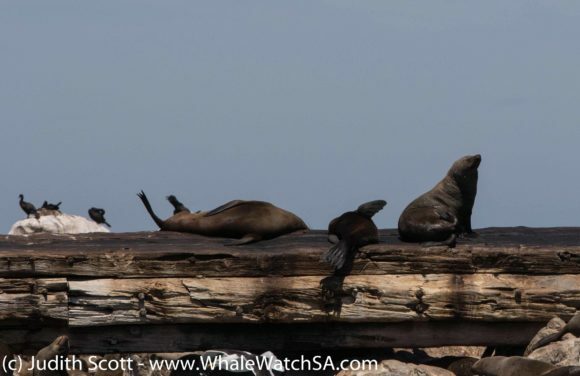 It feels as through summer is finally upon us in the bay, with only a South Easterly breeze to prevent us from feeling the full force of the African sun out on the boats. 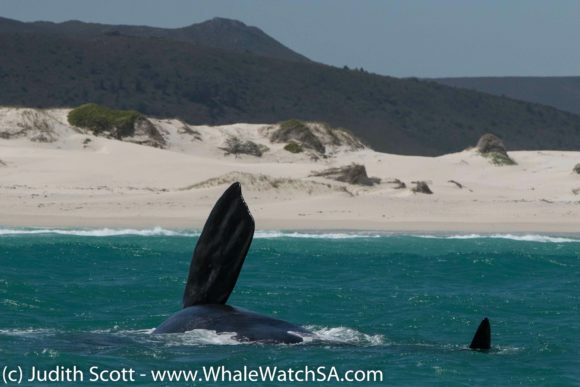 Our season is also still in full swing and it looks as though we’re going to be busy for a while, which is great news since the whales have been in such abundance this year. 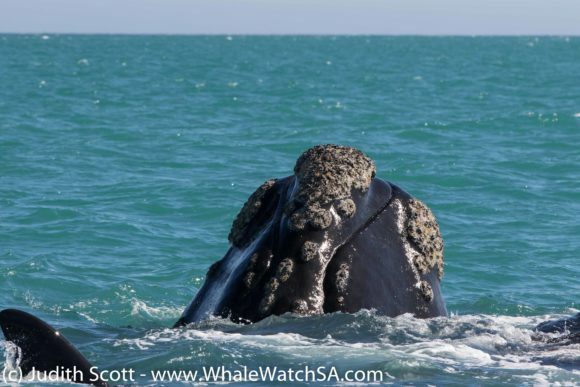 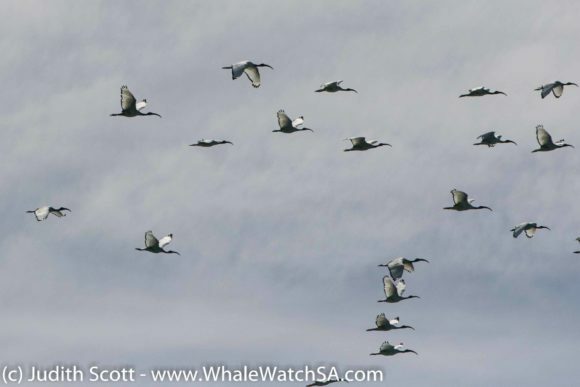 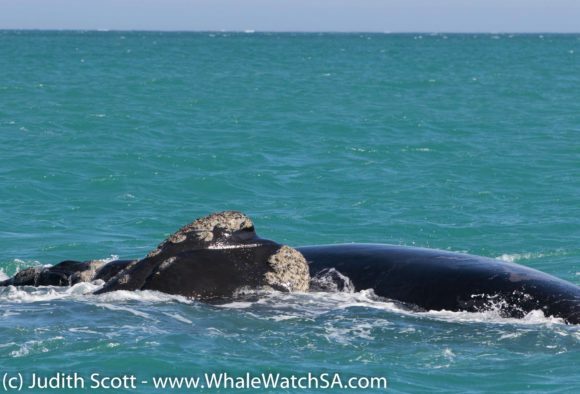 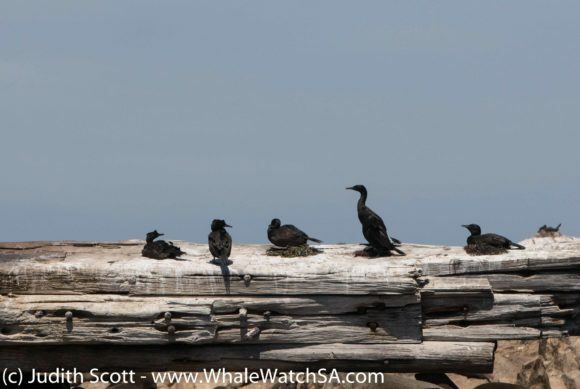 We started off the first trip of the day with 2 Southern Right whales off the suburb of Franskraal, and watched them for a bit when we spotted something that we haven’t seen in ages – a pod of Humpback Dolphins. 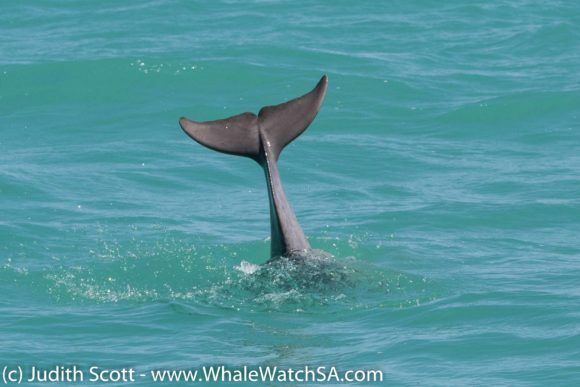 Humpback Dolphins generally travel in groups with less than 20 individuals, with us also seeing quite a few lone animals. 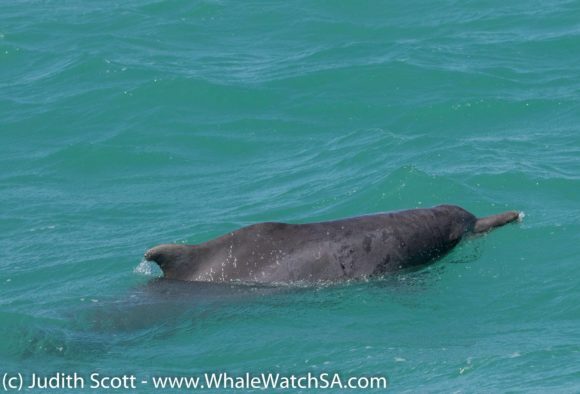 Today, we had at least 8 of these endangered cetaceans around which was an absolute delight. 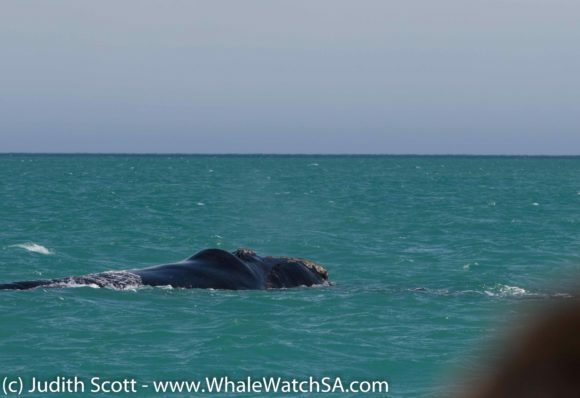 This species is also notoriously shy but, if you had been on the boats today, you would believe that we were taking you a fool. 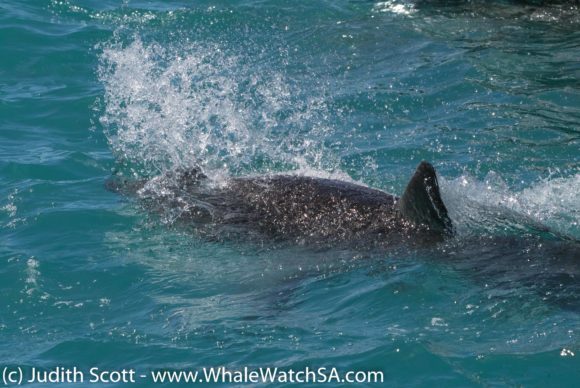 The dolphins came up super close to the boat and played around for a splendid few minutes, before we went back to our whale watching. 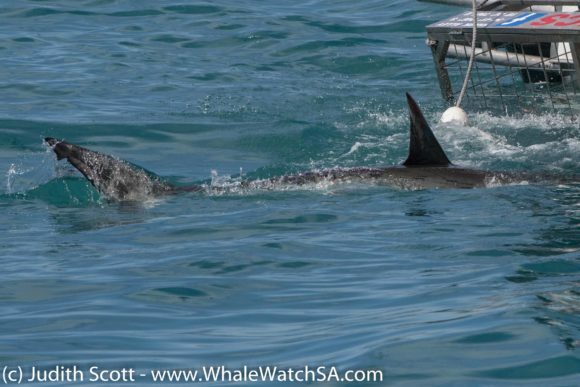 After our cetacean fix, we moved on over to Slashfin where we got to see both a Great White Shark and a Bronze Whaler. 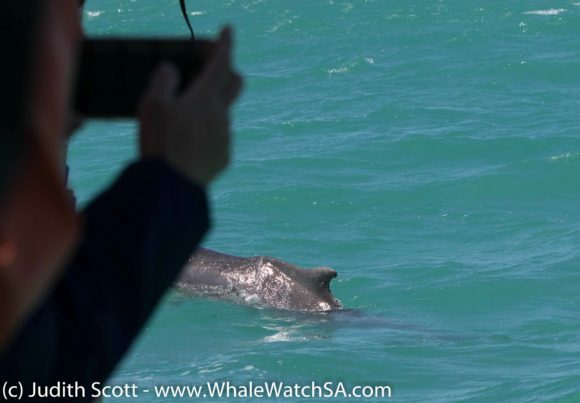 Our second trip had a really tough time choosing whether to focus on the Southern Rights or the Humpback dolphins when we were surrounded by both in the shallows. 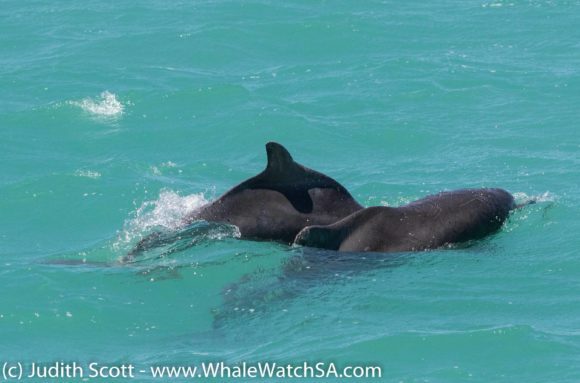 The dolphins where giving us the performance of a lifetime, rolling onto their backs and slapping their tails against the water right next to the boat. 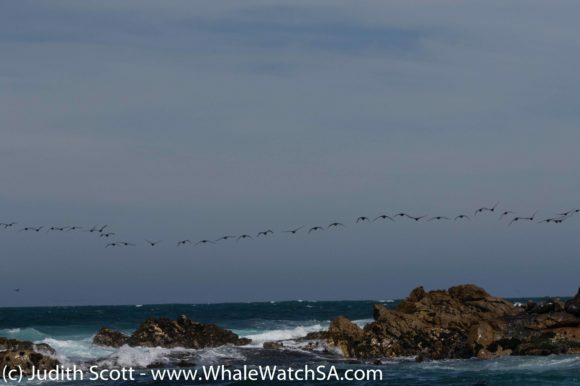 The whales were not too far behind with their sterling behaviour, which saw us getting a few really close passes and bits and pieces of the whales in the air. 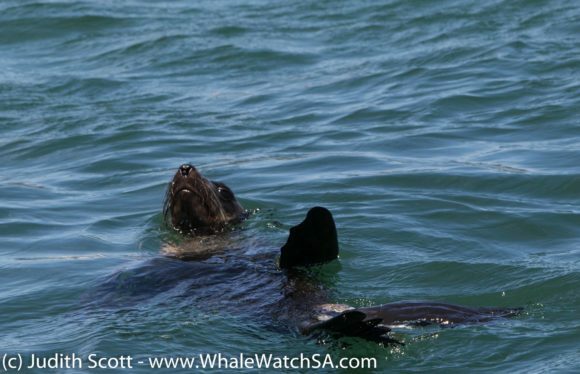 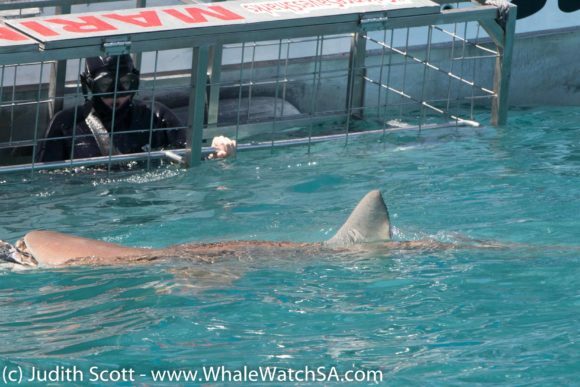 This trip also got to see a White Shark at Slashfin and our Cape Fur Seals over at Geyser Rock. 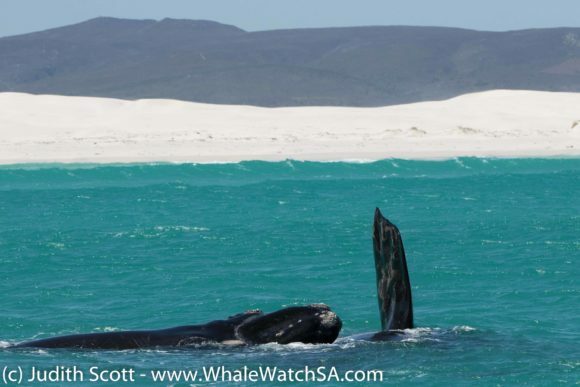 Trip 3 also had some awesome whales just off of Uilenkraalsmond, with some super relaxed mom, calf pairs around! 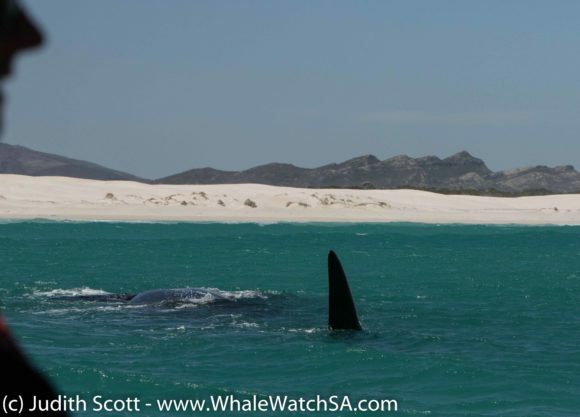 We had at least 4 different pairs on this trip, with a few tails coming up as the whales took deeper dives. 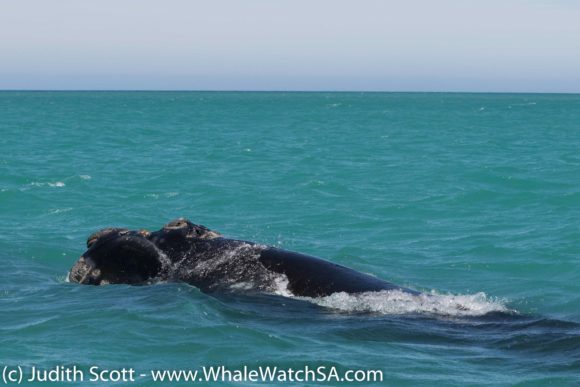 Today, we found the whales in around 4m of water, which just goes to show how exceptionally shallow they like to travel. 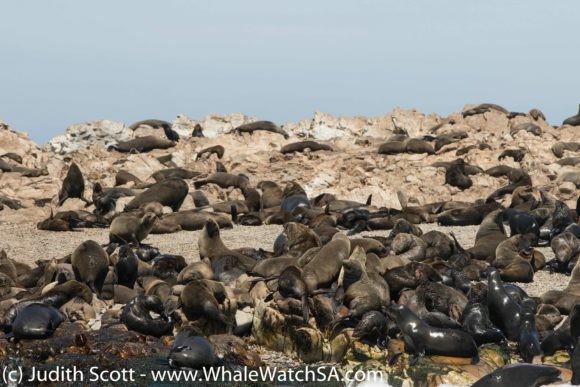 We took a stop with our sister company, Marine Dynamics, after this where we had a Bronze Whaler and a Great White Shark, with the seals being the last stop of the tour. 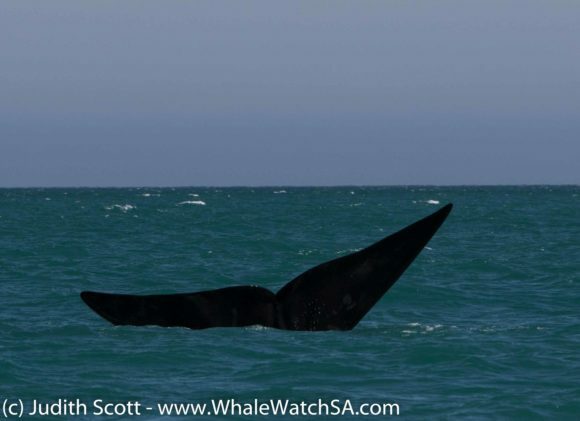 On the very last tour of the day, a couple of our lucky clients where able to see the marine Big 5, with a lone Humpback dolphin passing us as we watched our Southern Rights fool about. 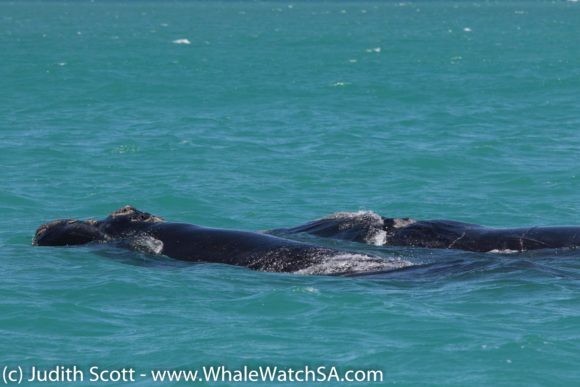 The whales were quite active on this tour, with mom and calf pairs joining up to form the equivalent of our play schools. 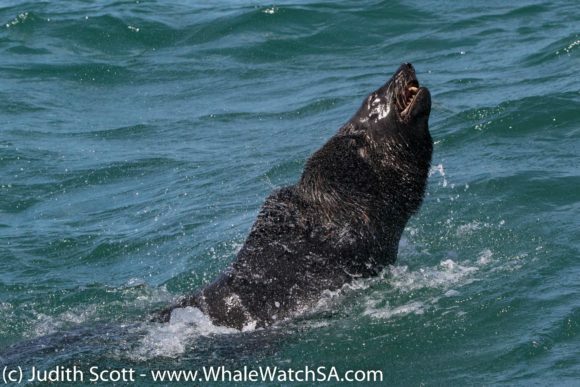 Tomfoolery is however, not only reserved for the calves, with the moms also parting in some fun, rolling onto their bellies and popping pieces of their flukes out the water. 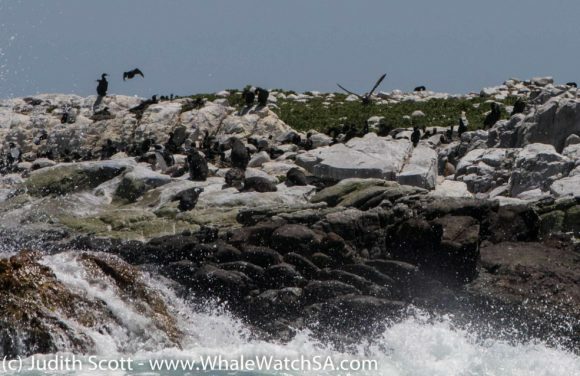 A great White Shark and a Bronze Whaler later, we stopped at Geyser Rock where most of the seals were on land due to the temperature dropping a bit from midday. 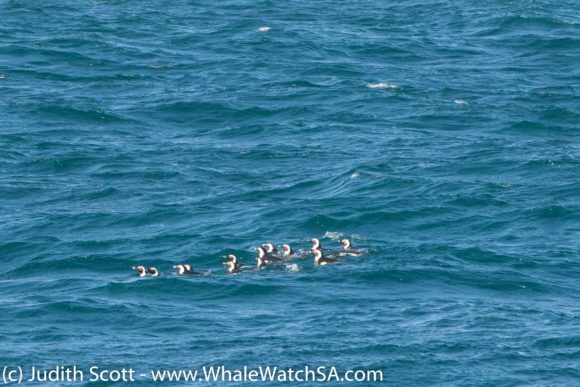 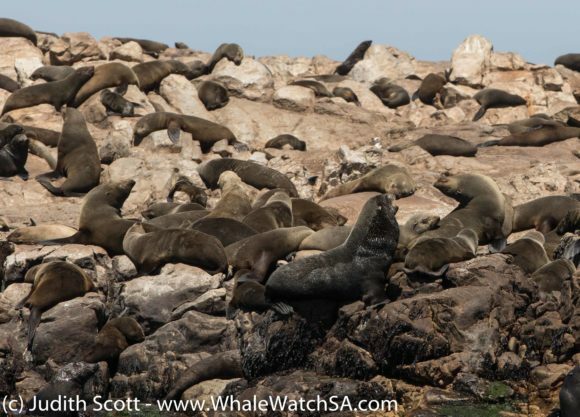 The very last member of the Marine Big 5 was spotted on the way back to the harbour, with a large raft of African Penguins coming in from the deep sea after a day in search of food.